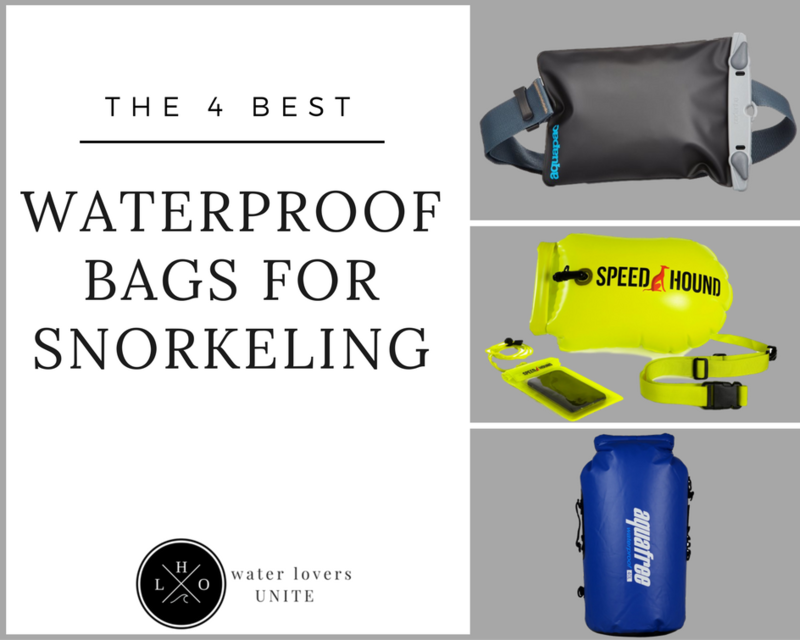 Looking for in the Best Waterproof Snorkeling Bag? We tested and reviewed the best snorkel bags on the market. See which ones made our list. Snorkeling is a great way to pass the time while at a new beach on vacation. 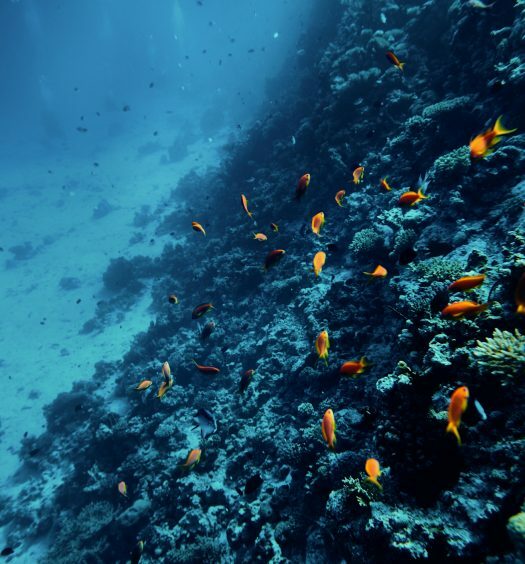 It’s an exhilarating experience and gives you an excellent look at the marine life in the area. It’s something that I’ve been doing for 20 years, and it’s something I plan to do for the rest of my life. Since I love to snorkel on vacation, sometimes in shady locations with locals that don’t mind robbing you, I understand the need to keep my valuables with me when out in the water. I have to keep my wallet, my keys and credit cards safe and secure with me. For that reason I rely heavily on waterproof bags while swimming around. Some of the bags float behind me and serve as a dive bag, others attach to my waist and offer excellent protection for smaller objects. Either way, I know how to utilize waterproof containers to keep my stuff safe. That wasn’t always the case though. I had my wallet stolen on vacation in the Bahamas, and completely ruined my cell phone using a supposedly waterproof bag on vacation a few years ago. I’ve since become much more selective and regularly test out new bags to prepare for vacation. Through several years of use and testing I’ve got a nice collection of highly reliable waterproof snorkeling bags. Hopefully my experience can help you find some as well, so you don’t suffer through stolen items or damaged electronics like I did. Water Tight Seal: The only thing the bag needs to do is keep water out. If it can do this effectively for all your trips you made a good purchase. If it lets water in your items are potentially ruined. Size: The size of the bag matters depending on what it will be used for. To keep your phone and keys safe a small bag is ideal. For a camera or another larger item you’re going to need a larger bag. Durability: A good waterproof bag needs to work every time you use it, not the first two or three trips out into the water. That’s why durability is vitally important. The bag shouldn’t puncture easily, and the seal needs to hold up through several uses. Function: If you are like me, you only go to the beach with the following valuables: iPhone, room key, debit or credit card, and cash. If that’s the case for you as well, you should consider using a bag that doubles as an underwater camera case, like our second option. Cost: Waterproof gear can get really really expensive, but it doesn’t have to. There are plenty of bags, boxes and cases that keep water out well, and they don’t all cost a fortune. Measuring 9.0” X 6.7”, it offers enough space for a phone, some keys, cash, credit card and other valuables. It offers superior triple seal protection to ensure your valuables stay safe and dry in the water. Can be worn comfortably as a waist pack, cross-body bag, or shoulder bag. Did we mention it floats? A big perk if it manages to get away from you out in the water. 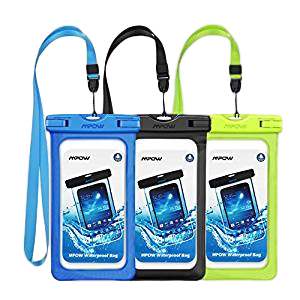 If you are a light beach-goer and are looking for a waterproof bag that doubles as a phone case that you can take under water pictures or videos with, than the Mpow Waterproof Case is your best bet. It is super simple to open and close by using two switches on the top. Once you phone is in the pouch it is very screen-touch friendly. 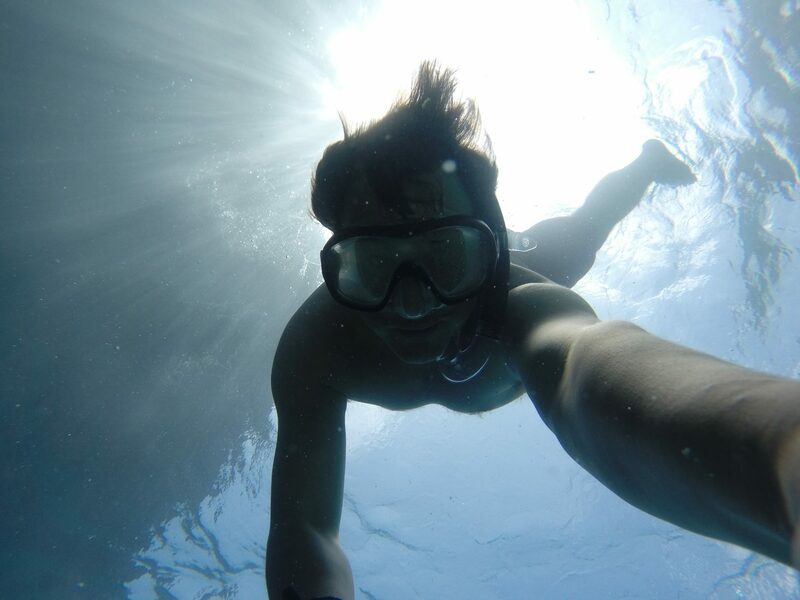 And the high quality transparent waterproof cases enable you to take good quality pictures and videos underwater without any glare or reflection. 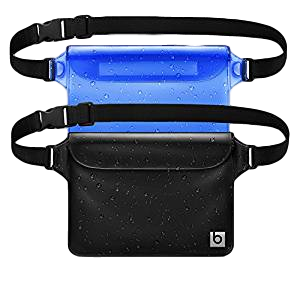 The manufacturer states that this bag is water resistant up to 100 feet, although we never tested it that deep. 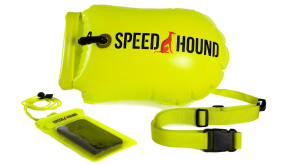 The Speed Hound swim buoy is an inflatable bag that keeps water out. It’s excellent for snorkeling because you tow it behind you and it makes you easy to spot out in the water. There are two major benefits to this bag. The first is that it can hold you up out of the water if you get tired of swimming and you are in deeper water. The second is that it is quite large and will hold a camera, or a collection of cell phones or a variety of other objects that you want to keep dry. It’s simple to use and a good product for snorkeling, but I also bring it out kayaking because it’s easy to recover after a spill. 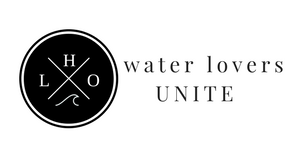 Ready for that next water adventure? You can be with the use of this bag! While these look like little glorified Ziplock bags, they’re excellent for keeping important items dry while out in the water. I’ve used one for my phone while swimming in the ocean. I rely on them regularly while snorkeling or just to keep dirt or sand off my important items. 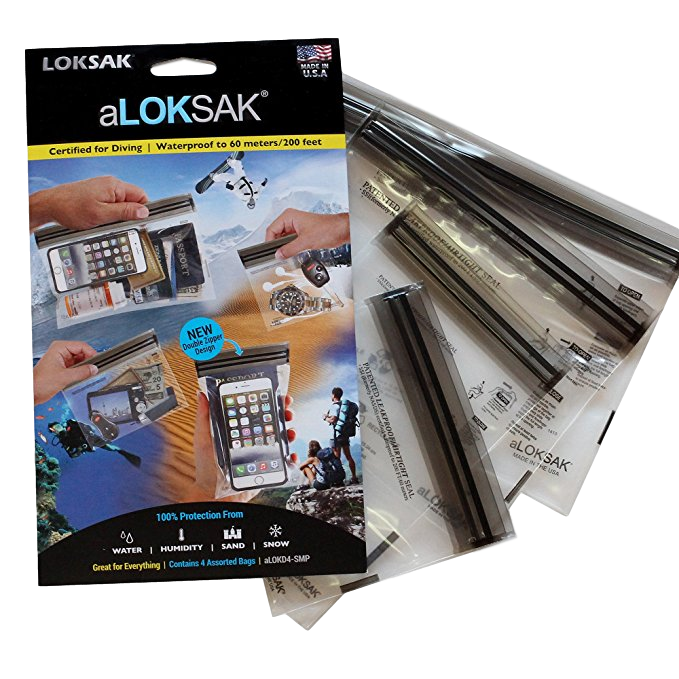 So, the Loksak 4 Pack assorted drybags might be for you. They aren’t the most durable, but they are really cheap, and you can even double the bags up around really important items in case one of the bags becomes punctured. I use them on their own while snorkeling regularly, or slip my phone into this case before putting it into another bag for added protection. 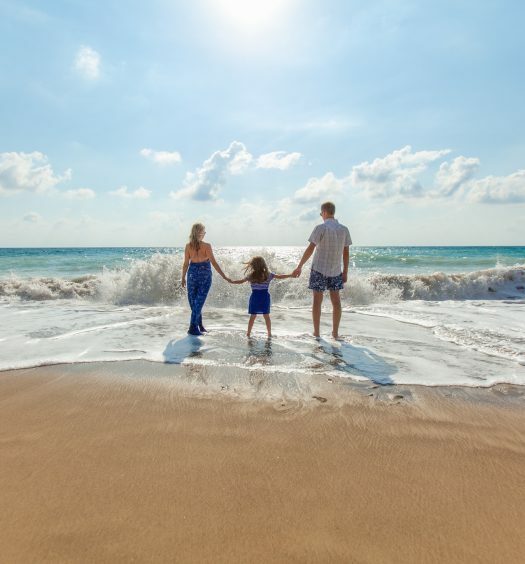 Slip the items in and slip them away while in the water and feel comfortable and confident wherever you go. 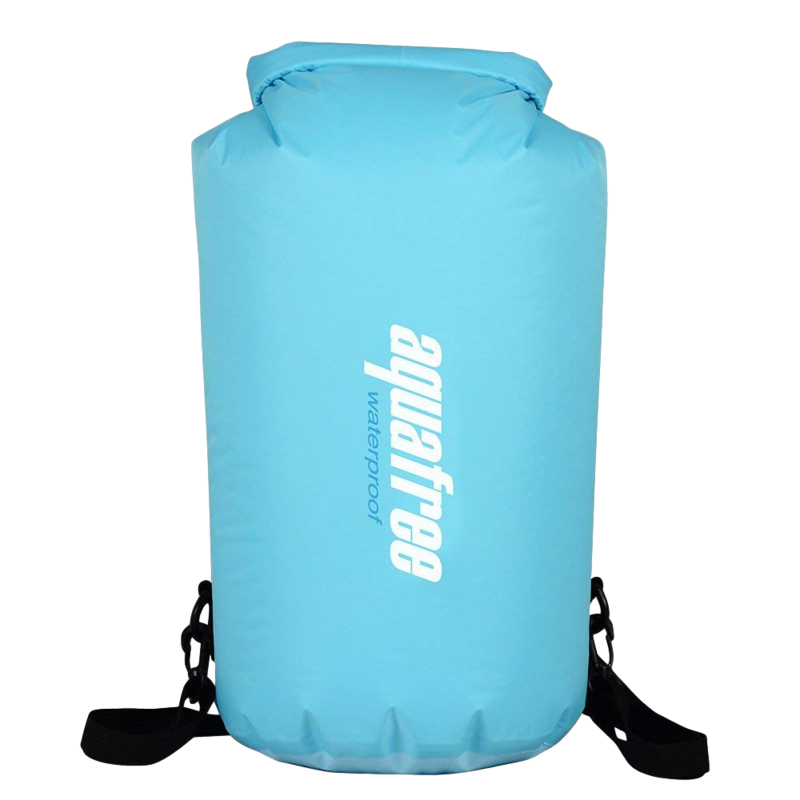 The Aquafree dry bag is a solid snorkeling option that will keep your items nice and dry as long as you close it up properly. Be sure to fold it over 3 or 4 times before use. The bag isn’t very big, but large enough for a phone, keys, wallet and a small snack. I like the bag because it looks nice and floats well behind me while I dive. I keep it attached to a tow rope that’s hooked to my waist so it doesn’t get lost. The bag has been through several adventures without letting any water in. Grab a few of these and hit the water, with the confidence that you need to keep all of your items safe and dry.